Delicious Combination of 7 Singapore’s Favourite Dishes. 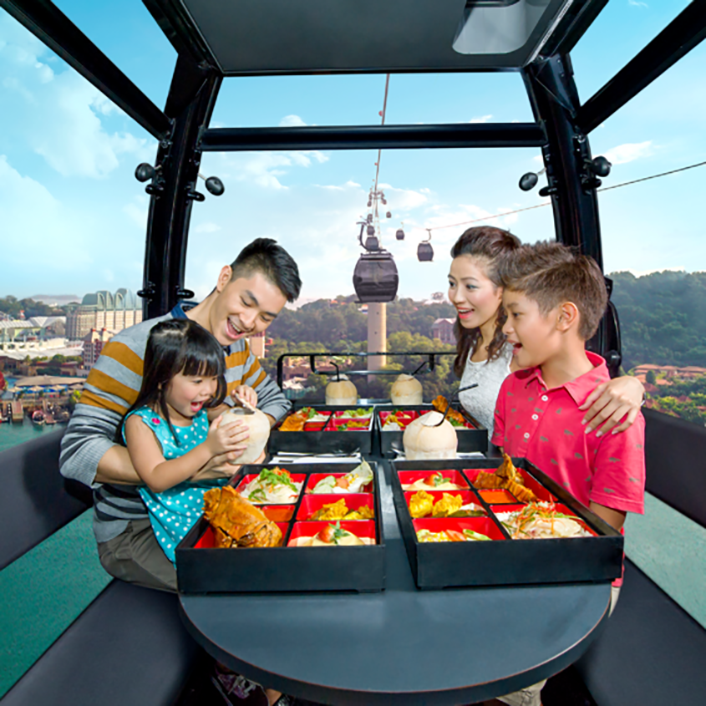 Savour the best of local delights up high in the sky onboard our Singapore Flavours Cabin. Infused with the authentic flavours of 7 Singapore’s favourite dishes and intoxicating panoramic view — it will be an experience to remember! A unique introduction to local Singapore cuisine. Diners who arrives after 7:00pm will have their dinner duration shorten to 1 round instead of 2 rounds. The entire Dining experience last about 1 hour.